This coming January 6th, my teacher, life coach Rabbi Aryeh Nivin will be starting a new Personal Development Chabura. I highly recommend this life-altering Chabura to every JewishMOM reading this. Over the past 4 years, the Chabura has improved my life DRAMATICALLY in so many ways. The first 3 classes will be a no-obligation free trial, and every JewishMOM.com reader who signs up for the free trial will automatically enter the raffle to win a free 12-week course registration (worth $150). This means that you have nothing to lose, and everything to gain by trying this out. First of all, thank you for creating this Chabura. It has really changed my life and enabled me to gain control of my life once again. While all of your classes have transformed and improved my life, the loving educator/communicator module has given me more solutions than any other. It has really helped me work on my middot at a very challenging time in my life, and to choose to be a good, positive, calm person as opposed to an angry, spiteful, volatile person (and I could have easily gone the wrong way). I separated from my husband about 15 months ago and am now dealing with the legal divorce process. 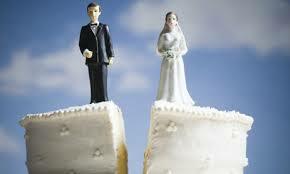 I have a get, thank God, but the legal divorce is a different animal altogether. Divorce really brings out the worst in people but I’ve come to the conclusion that the average couple going through the divorce must work together to create solutions otherwise they will get eaten alive (or lose a lot of money paying someone to fight an endless battle). In that way getting divorced is almost like still being in the bad marriage but without any positive aspects of the relationship. Not fun. Anyhow, being a single mother and dealing with my ex is a very big challenge. But I’m proud to say that I think I’m living up to the tests that Hashem is putting in front of me, and that is thanks to you and what I am learning in your chabura. You have enabled me to be a loving communicator not just with my children but also with my ex. I make a conscious choice every day to be calm, understanding and thoughtful of the situation. I think before I speak and act as much as possible. I gather myself together in order to gain control during difficult situations which come up all the time, whether it’s my children acting out, or my ex pushing my buttons. I feel as though for the first time in many years, I have control over my life again and nobody’s actions or feelings can ruin my day or determine how I will react to anything. But that doesn’t mean I’ve become a pushover, not at all! I’m less of a pushover now than ever before and have a clearer vision of what I want and where I’m going. I have a lot more work to do but thanks to this chabura, I now have a handle on raising my kids with structure and discipline, and laughter, calmness and love. And as for my ex, this module helps me to (at least try) to understand him; as much as I don’t want to, it’s the best way for me to get a positive result from the divorce, God willing, and raise our children without tension, as much as possible. Thank you for reading this email and for all that you have done for me.